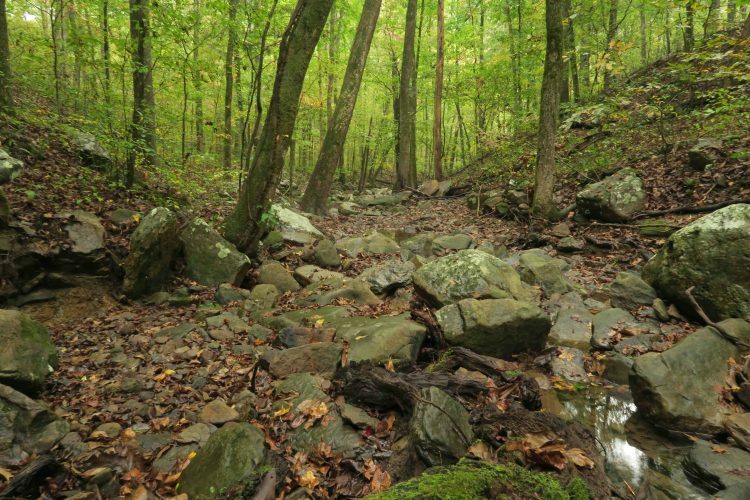 Today was about checking my 4-mile adopted section of the Ozark Highlands Trail. I’d recently read the above John Muir quote and planned to try a little sauntering. A drizzling rain wouldn’t interfere with maintenance plans since I was only doing light hand sawing and clearing. Almost every creek had pockets of water and about the time I was thinking this would be a great weekend for camping, I came upon a hammock. John, a thru-hiker I’d meet on my hike out in a few hours, was sleeping in during the light rain. I was proud that Hiker-dog ignored the hammock and continued across Jack Creek on the trail. I purposefully stopped every few minutes to look and enjoy these woods I’ve passed through many times. This was my nod to Mr. Muir in my effort to “saunter.” Slowing down and pausing occasionally allowed me to notice things I’d typically miss like small fungi on a decaying log. 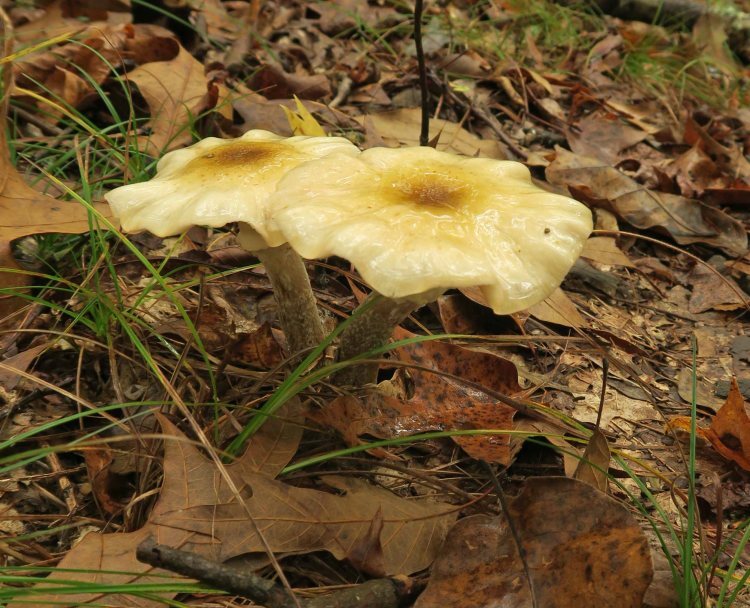 Two small mushrooms next to the trail glistened with moisture. After scouting the trail and beginning my return trip, I came across muscadines hanging right over the trail I hadn’t noticed my first time through. 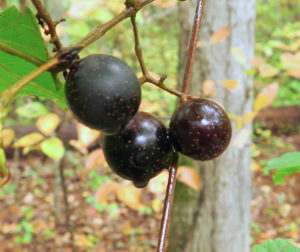 I picked a few and enjoyed their sweet centers and tart chewy skins as I walked along remembering muscadine jelly on toast. The rain had stopped and I was now sauntering along with a hand full of muscadines and blueberry cookies. A wonderful feast! 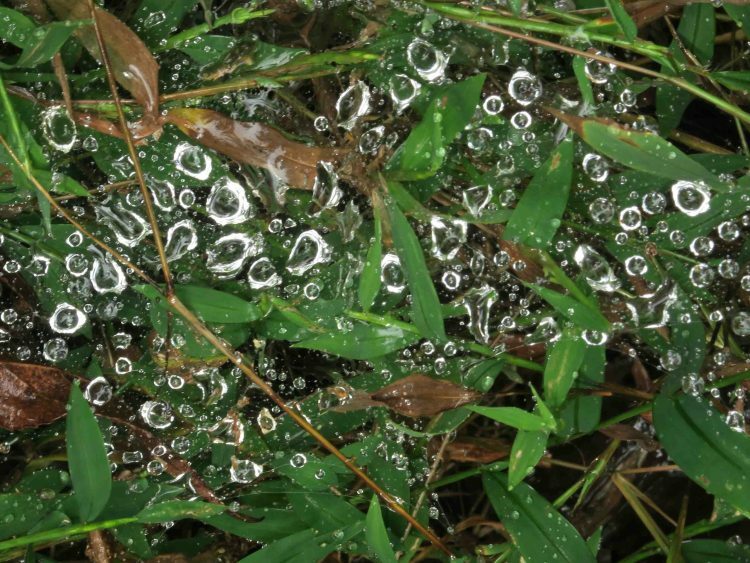 Spider webs covering greenery held water droplets that sparkled like diamonds next to the trail. Hiker-dog was elated to be on the trail for six hours. 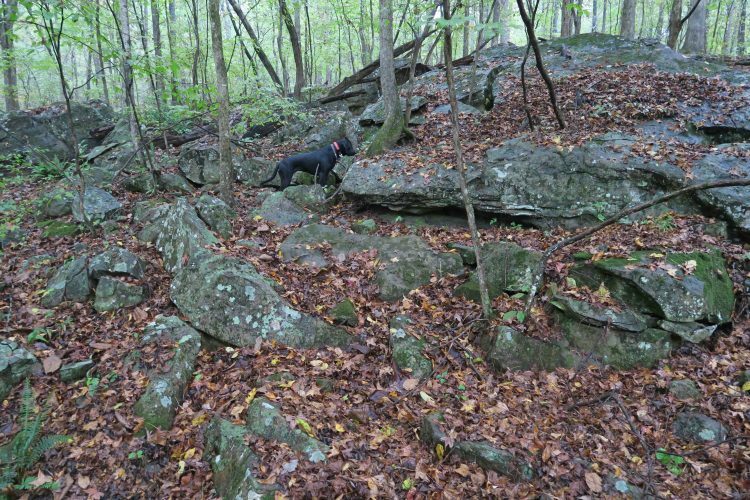 She enjoyed exploring rocky crags above the trail and staying wet from running through underbrush. 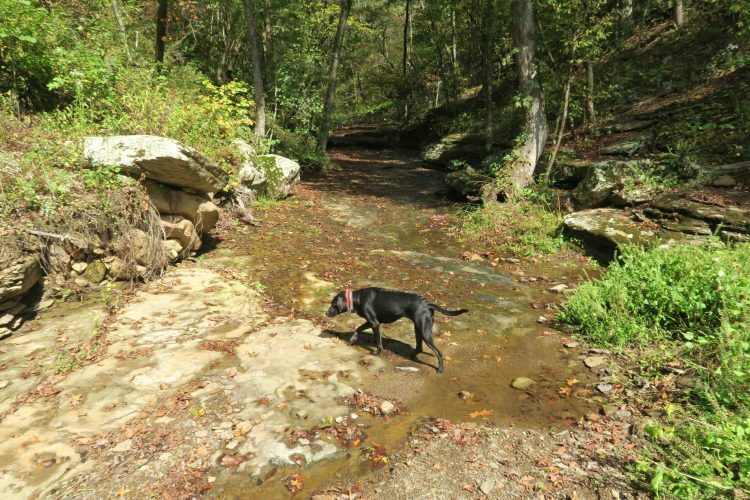 I enjoyed my day of sauntering and a little trail maintenance, too. I can relate to Muir’s comment about walking through the mountains with an attitude of reverence. I ended this day with a mind full of thankfulness. Thankful for the gifts of sight, sound, smell, and especially taste. Time for some muscadine jelly!